I'm heading out to have drinks with my friend right now, but here's what I wore today. This is one of my all time favorite dresses, and one of the oldest. I bought it for my first internship a few years ago and it has seen many days and a few reincarnations of my style. I hope it makes it though the next one, it's too great to give up! I love this dress! 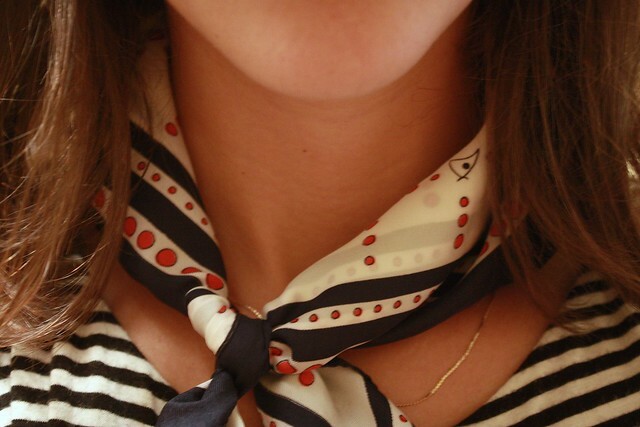 The stripes are great, and your scarf goes perfect with it! :) Have fun! drinks with friends... FUN! have a blast. what a cute dress. it looks super comfy! You are adorable. Love the way you tied your scarf! 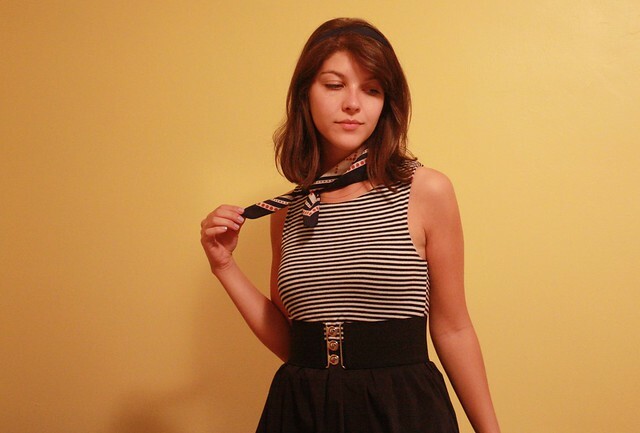 lol my dress came with the same belt :) i love having a go-to dress, and that one looks amazing on you. I love the little scarf! Aside from polka dot designs, I also in love with stripe anythings. I love your dress! 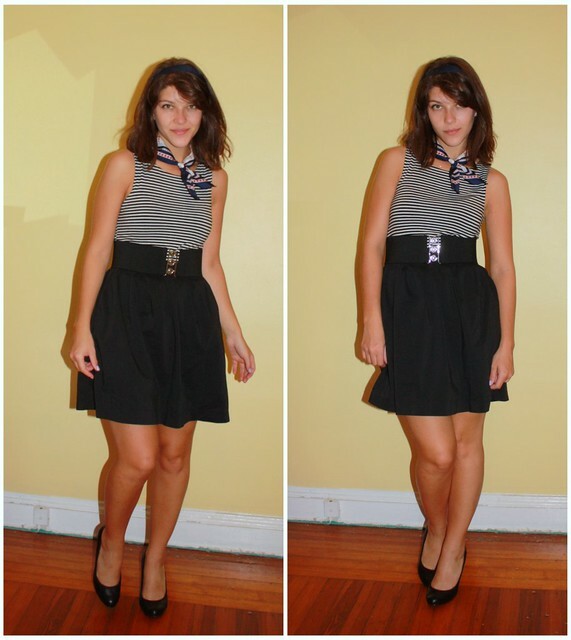 i really like the way your scarf makes the whole look more chic ! two thumbs up for this ! I have this exact same dress, and I love it too! It got me through the hot days in France. I don't know how you found me, but I'm glad you did. Love your blog, which is obvious, as I am commenting on a post almost a month ago. Couldn't help but peruse!